The NTC Foundation is planning to build seven new studios for working artists in two historic barracks buildings at Liberty Station. 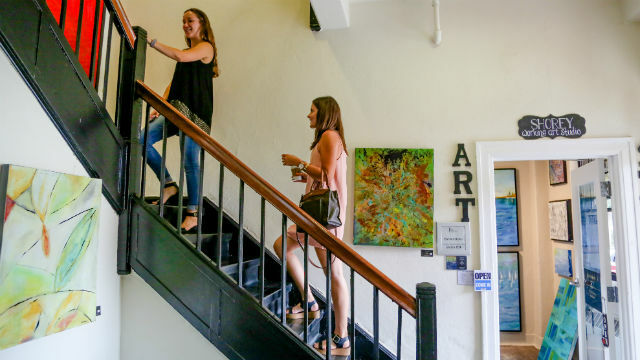 “With the closure of several arts spaces around town, there is a growing shortage of artist studios,” said foundation Executive Director Alan Ziter. “To help meet that need, we’re moving forward with plans to create more studios. He said there are already 22 studios in the Arts District that are home to working artists, craft makers and jewelers. New studios at Barracks 14 could open in the late summer, followed by more in Barracks 19 in early 2019. Ziter said the foundation will invest $60,000 to create the studios. Since its founding in 2000, the NTC Foundation has developed a 100-acre creative district for San Diego by renovating historic Navy buildings into rentable space for artists, dancers and musicians.